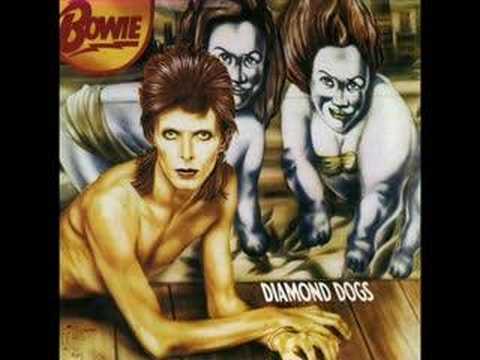 Diamond Dogs is a concept album by David Bowie, originally released by RCA Records in 1974. Thematically it was a marriage of the novel Nineteen Eighty-Four by George Orwell and Bowie's own glam-tinged vision of a post-apocalyptic world. Bowie had wanted to make a theatrical production of Orwell's book and began writing material after completing sessions for his 1973 album Pin Ups, but the late author’s estate denied the rights. 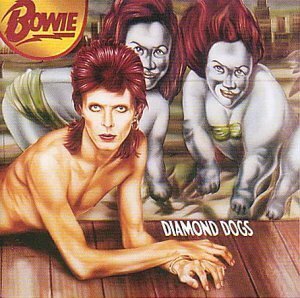 The songs wound up on the second half of Diamond Dogs instead where, as the titles indicate, the Nineteen Eighty-Four theme was prominent.